X. Li, Y. Qiao, S. Guo, Z. Xu, H. Zhu, X. Zhang, Y. Yuan, P. He, M. Ishida, and H. Zhou, “Direct Visualization of the Reversible O2−/O− Redox Process in Li-Rich Cathode Materials ”, Adv. Mater. 1705197 (2018). Z. Luo, H. Zhu, T. Ying, D. Li, X. Zeng, “First principles calculations on the influence of solute elements and chlorine adsorption on the anodic corrosion behavior of Mg (0001) surface”, Surface Science (2018). Q. Dong, Z. Luo, H. Zhu, L. Wang, T. Ying, Z. Jin, D. Li,W. Ding, X. Zeng, “Basal-plane stacking-fault energies of Mg alloys: A first-principles study of metallic alloying effects”, Journal of Materials Science & Technology (2018). J Wu, W Qi, Z Luo, K Liu, H Zhu, “Electronic Structure and Stability of Lead-free Hybrid Halide Perovskites: A Density Functional Theory Study”, Journal of Shanghai Jiaotong University (Science) 23 (1), 202-208 (2018). Y Qin, F Li, P Tu, Y Ma, W Chen, F Shi, Q Xiang, H Shan, L Zhang, P Tao, “Ag3PO4 electrocatalyst for oxygen reduction reaction: enhancement from positive charge”, RSC Advances 8 (10), 5382-5387 (2018). 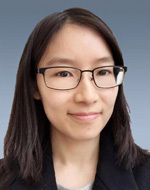 ZM Gibbs, F Ricci, G Li, H Zhu, K Persson, G Ceder, G Hautier, A Jain, “Effective mass and Fermi surface complexity factor from ab initio band structure calculations”, npj Computational Materials 3 (1), 8 (2017). U Aydemir, JH Pöhls, H Zhu, G Hautier, S Bajaj, ZM Gibbs, W Chen, G Li, “YCuTe2: a member of a new class of thermoelectric materials with CuTe4-based layered structure”, J. Mater. Chem. A 4 (7), 2461-2472 (2016). H. Zhu, G. Hautier, U. Aydemir, Z. M. Gibbs, G. Li, S. Bajaj, J. Pöhls, D. Broberg, W. Chen, A. Jain, M. Anne White, M. Asta, G. J. Snyder, K. Persson and G. Ceder, “Computational and experimental investigation of TmAgTe2 and XYZ2 compounds, a new group of thermoelectric materials identified by first-principles high-throughput screening”, J. Mater. Chem. C, 3, 10554-10565 (2015). W. G. Zeier, H. Zhu, Z. M. Gibbs, G. Ceder, W. Tremel, and G. J. Snyder, “Band convergence in the non-cubic chalcopyrite compounds Cu2MGeSe4”, J. Mater Chem C 2, 10189 (2014). H. Zhu, W. Sun, R. Armiento, P. Lazic, and G. Ceder, “Band structure engineering through orbital interaction for enhanced thermoelectric power factor”, Appl. Phys. Lett. 104, 082107 (2014). H. Zhu, G. Ramanath, and R. Ramprasad, “Interface engineering through atomic dopants in HfO2-based gate stacks”, J. Appl. Phys. 114, 114310 (2013). R. Ramprasad, H. Zhu, P. Rinke and M. Scheffler, “New perspective on formation energies and energy levels of point defects in non-metals”, Phys. Rev. Lett. 108, 066404 (2012). R. J. Mehata, Y. Zhang, H. Zhu, D. Parker, M. Belley, D. Singh, R. Ramprasad, T. Tasciuc, G. Ramanath, “Seebeck and figure of merit enhancement in nanostructured antimony telluride by antisite defect suppression through sulfur doping”, Nano. Lett. 12, 4523 (2012). H. Zhu, C. Tang, L. R. Fonseca and R. Ramprasad, “Recent progress in ab initio simulations of hafnia-based gate stacks”, J. Mater. Sci. 47, 7399 (2012). H. Zhu and R. Ramprasad, “The effective work function of metals interfaced with dielectrics: A first principles study of the Pt-HfO2 interface”, Phys. Rev. B 83, 081416 (R) (2011). Y. Zhong, H. Zhu, L. Shaw and R. Ramprasad, “The equilibrium morphology of WC particles-a combined ab initio and experimental study”, Acta Mater. 59, 3748 (2011). H. Zhu, C. Tang and R. Ramprasad, “Phase equilibria at Si-HfO2 and Pt-HfO2 interfaces from first principles thermodynamics”, Phys. Rev. B 82, 235413 (2010). H. Zhu, M. Aindow and R. Ramprasad, “Stability and work function of TiCxN1-x alloy surfaces: Density functional theory calculations”, Phys. Rev. B 80, 201406 (R) (2009).